At IHDA, we’re responsible for monitoring the properties we finance. That’s currently about 750 multifamily rental properties that comprise more than 65,000 units across the state. We work with property managers to ensure their properties are in compliance with building safety codes, loan conditions, tenant selection requirements and other state and federal guidelines. Property managers can use the tools and documents found here to help ensure they continue to meet their compliance requirements. Summary of compliance staff roles and responsibilities. LIHTC Manual Draft for public review. Listing of IHDA points of contact broken down by property manager. PPT presentation deck from 2019 Illinois Governors Conference on Affordable Housing. Compliance essentials covering LIHTC, HOME Funds and Housing Trust Fund. WHAT WILL I LEARN: The process and documents for requesting funds from reserve accounts. WHO SHOULD ATTEND: Staff that coordinates or handles reserve requests to IHDA or maintains reserve accounts. WHAT WILL I LEARN: The process and documentation for sending loan payments to IHDA. WHO SHOULD ATTEND: Staff that coordinates or handles loan payments to IHDA. Financial reporting and audit guidelines for mortgagors of multifamily housing developments. Required to be submitted with annual financial statements. Must be submitted with the annual financial statement. Follow these directions to successfully submit the budget review form. To be completed if there is a withdrawal on a reserve/escrow account. These instructions specify documentation that must be submitted with requests for withdrawals from property reserve accounts held by IHDA. All requests and supporting documentation are to be submitted electronically to reserverequest@ihda.org. When seeking reimbursement for any payments, all developments must submit a W-9 Form (Request for Taxpayer Identification Number and Certification). When requesting that vendors be paid directly, the vendor’s W-9 Form must be submitted with the payment request. Automated Clearinghouse (ACH) Bank Credit Authorization form. This form allows IHDA to electronically deposit funds into the requestor’s bank account. Automated Clearinghouse (ACH) Bank Debit Authorization form. This form allows IHDA to charge the requestor’s bank account for their mortgage payment on or after the payment due date. To be completed if there is a change to the authorized signatures on a reserve/escrow account. To be submitted annually to certify that the development is in compliance with the applicable income/rent requirements of the Regulatory Agreement per related funding. To be submitted annually and attached to the HOME, CDBG, NSP, 1602, TCAP or Tax Credit program certifications. This is the Annual Tenant Events for all household members residing in properties with the following funding programs (HOME, CDBG, NSP, 1602, TCAP, Tax Credits). For Section 8 & Mod Rehab only. To be submitted annually to certify that the developments are in compliance with HUD’s 30% income targeting. To be submitted as a supplement to the mortgage details included with the annual financial statements. To certify a development’s ownership structure. To be submitted when authorizing the person listed in the form to execute documents on behalf of the corporation. Rider to Apartment Lease – HOME Program (IHDA). Rider to be attached to lease when HOME Program funds. To be completed by developments renewing Section 8 contracts. This form is the Appendix 5 – Annual Adjustment Factor (AAF) worksheet for the rent comparability study. This form is the Appendix 1 – Annual Adjustment Factor (AAF) worksheet for the rent comparability study. Sample of Annual Adjustment Factor (AAF) owner’s certification of compliance. IHDA Other Rent and Utility Allowance Request Form (Not for Section 8 / 236). Complete this excel form to determine the utility allowance. Extension and amendment of management agreement. To be submitted when detailing the criteria for selecting tenants for Other Programs (except Section 8 & 236) developments. To be submitted when detailing the criteria for selecting tenants for Section 8 & 236 developments. To be submitted when detailing the criteria for selecting tenants for Section 8 Moderate Rehabilitation developments. To be submitted when detailing proposed activities/advance marketing for affirmative fair housing. An outline of management requirements to verify that the owner/sponsor and the managing agent will consistently implement fair and appropriate housing management practices and comply with applicable program requirements when managing an IHDA-financed development. This poster is required to be posted at the property. (English Version). This poster is required to be posted at the property (Spanish Version). A sample form for the development to use to summarize an applicant’s details for the waiting list. To be submitted annually and attached to the HOME, CDBG, NSP, 1602, TCAP or Tax Credit program certifications. This is the Annual Tenant Events for all household members residing in properties with the following funding programs (HOME, CDBG, NSP, 1602, TCAP, Tax Credits). Revised 9/16/16. LIHTC Tenant Income Certification Form (TIC). To be completed during certification/recertification of residents. This form is accepted by IHDA, City of Chicago and Cook County. A reference guide for compliance with the Low Income Housing Tax Credit (LIHTC) Program. State Tax Credit Compliance Guide. IAHTC Program Owner’s Certification of Continuing Compliance. To be completed annually. IAHTC Project Information. Complete initially then only if there has been change in the information during the compliance period. Low Income Tenant Income Certification (TIC). To be completed during certification of residents. IAHTC Project Data. Initial submission only. IAHTC Building Identification. Initial submission only for each BIN number. The Tax Credit Lease Addendum should be on your letterhead, signed by the resident and Manager and attached to your lease agreement if your current lease agreement does not include Section 42 language as identified in this sample Addendum. Terms, conditions and procedures for qualified contract requests. Updated April 2019. Annual Section 42 Compliance Fee Payment and Mailing Instructions Requirements. This guide will describe the procedures related to use of the BDS (Confidential Delivery Server) website. This website can be used for any transmission that includes data or information that requires protection. Annual Section 42 Compliance Fee Payment and Mailing Instructions Requirements. The purpose of this guide will be to describe the process, for managing agents, regarding how to register for the BDS (Confidential Delivery Server) for submission of their tax credit compliance documents. DMS Authority Online is a web portal available to property Owners and Agents to manage compliance reporting directly into IHDA’s DMS. This manual provides guidance on how to use the DMS Authority Online system. This listing details IHDA-assisted multifamily rental properties and contacts for persons seeking housing. Use this link and follow the instructions to submit Occupancy and Waitlist Data. This document includes a model plan as well as related guidance. This guide lists Federal and State referral sources for persons experiencing domestic violence. 2016 all programs rent and income limits. 2015 all programs rent and income limits. 2014 all programs rent and income limits. 2013 all programs rent and income limits. 2012 all programs rent and income limits. Title 47: Housing and Community Development Chapter II: Illinois Housing Development Authority Part 375 Notice Procedures Under the Federally Assisted Housing Preservation Act. This form is for the owner to submit a notice of intent to complete prepayment, termination, sell or dispose of the property under the Federally Assisted Housing Preservation Act. The Feedback Forms below are to be used only for IHDA Properties. Click here to get a listing of IHDA properties. Use this form to file an applicant or tenant complaint on an IHDA-financed property. Use this form for Statewide Referral Network or Section 811 program developments. 2014 IHDA Tax Credit Training Calendar for On-site Managers/Managing Agents/Owners of Tax Credit Properties. 2014 IHDA Training Calendar for On-site Managers/Managing Agents/Owners of Section 8 and 236 Financed Developments. 2014 IHDA Training Calendar for On-site Managers/Managing Agents/Owners of HOME, Risk Share, AMBAC, TFB, HTF, HPP, FAF, CDBG, NSP, BIBP, TCAP/1602 and 80/20 Financed Properties. 2014 Interest Rate on Security Deposits. Insurance Requirements for IHDA Projects – Renewals. 2014 Section 8 Operating Cost Adjustment Factors. 40th Percentile and 50th Percentile Fair Market Rents for Fiscal Year 2014. Change in Utility Allowance Calculation and Sample Size. Revised EIV Notice from HUD (H 2013-06) issued March 8, 2013. 2013 Trainings in Decatur on Thursday, June 13, 2013. Clarification of HUD requirement for Residual Receipts of New Regulation Section 8 Housing Assistance Payment (HAP) Contracts to Offset Monthly Section 8 Housing Assistance Payments. 2013 Interest Rate on Security Deposits. 2013 Section 8 Operating Cost Adjustment Factors. Housing persons with Disabilities to provide Supportive Housing. Implementation of a Universal Tenant Income Certification (TIC) form. Implementation Dates of Utility Allowance Adjustments. Income/Rent Limits for 2012. Home Program Rent Schedule Format. E-Mail addresses for future management bulletins. 2012 Section 8 Operating Cost Adjustment Factors. EIV Notice from HUD (H 2011-21) issued August 17, 2011. 2010 Income Limit and Maximum Rent Schedules. Clarification of HUD Utility Allowance and Rent Submission Procedures. Training for On-site Managers/Managing Agents/Owners of Section 8 and 236 Developments & HOME, Risk Share, AMBAC, TFB, HTF, HPP, FAF, Tax Credit and 80/20 Financed Properties. Training for On-Site Managers/Managing Agents/Owners of HOME, Risk Share, AMBAC, TFB, HTF, HPP, FAF, Tax Credits and 80/20 Financed Properties. Training for On-Site Managers/Managing Agents/Owners of Section 8 and 236 Financed Properties. Clarification of Units for Sale and Rental Assistance Contracts. Terminating a Landlord Rental Assistance Contract. Rental Assistance Contract revision and instruction. Over Income Households after an Interim Recertification. Retention of Tenant Leases and Riders to Lease in Local Administering Agency and Long Term Operating Support Program development files. Revision to the Rental Housing Support Program Compliance Manual. 2009 Income Limit and Maximum Rent Schedules. Changes to Unit Inspection Process and Summary Reporting. Introduction of Management Bulletins for the Rental Housing Support Program. ILHousingSearch.org is a FREE way to find and list housing in Illinois. Property providers can post listings of apartments and houses for rent at any time. It is a fast, easy-to-use search tool that lets you look for rental housing using a wide variety of criteria and special mapping features. The service also provides links to housing resources and helpful tools such as an affordability calculator, rental checklist, and additional information about renter rights and responsibilities. Please use this form when submitting a Special Assets request. 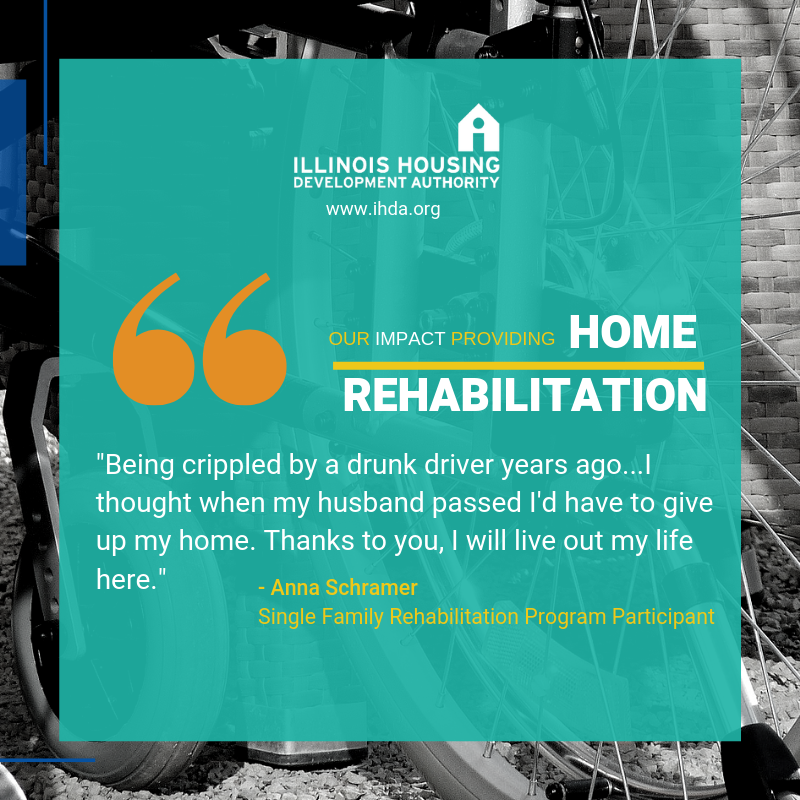 If you have any questions, please contact Steven Gladden at 312-836-5351 or via email at sgladden@ihda.org.